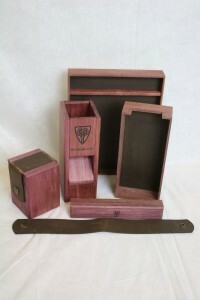 All in this gorgeous Purpleheart wood that is known worldwide for it’s remarkable colouring. Any donations of $5.55 or multiples thereof until 9 PM PST will enter you for a chance to win. This is the LAST donation drive of Desert Bus, let’s see what we can do together for Child’s Play.